Regular readers of this blog may have noticed a recent decrease in the frequency of posts hereto. And there’s a darn good reason for that–and it’s about to change! The reason is, your favorite dinosaur and mine has been planning a food trip to Ireland and Italy, and she’s taking you along for the ride! From Dublin, we take a train to Waterford City to attend the final three days of the newest Irish food festival, the Waterford Harvest Festival. The festival features many Slow Food Ireland and Grow It Yourself Ireland (GIY) events, among others, all designed to increase awareness about locally-grown Irish food. While there, we will attend a tasting of Irish beer and cheese, the GIY street feast, and an open air harvest market. After that, we travel to the heart of Tuscany: Florence, that is. There we will learn the subtle art of chilling out with locals who do it pro-style. And of course, we will eat. If we happen to trip over some art or architecture on the way to eating, we might even write about that too. So join me on a food exploration of parts of two European countries beginning with the letter “I.” Oh, and I’ll be doing it all from my iPhone and any WiFi connections I happen to find along the way. Now THAT’S going to be an adventure! Farm Burger Supper Series–I’ll be back (if I can get to the phone fast enough)! Hungry diners await the chefs' offerings at Farm Burger's Summer Farm Supper No. 4. The Summer Farm Supper No. 4 on Thursday, August 11, 2011, at Farm Burger in Decatur, Georgia, was such an event. And luckily for all involved, it is part of an ongoing a series! At the helm this evening were two chefs, Ryan Smith of Empire State South and Zeb Stevenson of Livingston Restaurant + Bar, ready to show what they could do with ingredients provided by Farm Burger affiliates Moonshine Meats and Full Moon Farms in Athens, Georgia. Chefs Zeb and Ryan take a well-deserved bow. The rest of us were just along for the exquisite ride knowing only that for about $36 we would get something like four courses. Nonetheless, the event sold out completely leaving a decent-sized waiting list of the tardy but hungry. The menu was posted on the Farm Burger blog two days ahead of time, and I was intrigued. The line-up included parts of the cow and pig I’d never experienced before along with some unusual parts of other animals, too. Dinner was served at several communal tables set throughout the restaurant and at the bar. I was seated with a group of three and another pair to round out our table of six with a great view of the kitchen. Patient patrons at the bar. As my fellow diners arrived, we were provisioned with a pre-appetizer snack of puffed beef tendon dusted with a finely grated, hard, white mystery cheese. Puffed beef tendon by candlelight. It was paired with a refreshing and delicately sweet fig-rosé spritzer concoction. Check out the size of that beef tendon. My closest analog with the texture was pork rinds but with a slightly sticky finish you would expect from an ingredient containing so much collagen. There was obviously some delicious fat involved, perhaps tallow, the buttery flavor of which only intensified its beefy goodness. And even though each tendon was about the size of a dinner plate and I was putting them away like I had just returned from a two week stroll across the Gobe desert, I still had plenty of room for the remaining courses—six remaining courses to be exact. The potted chicken liver was as you would expect—smoothly pate-like—and the rhubarb mustard was a served atop a subtly-sweet jelly (or maybe it was the jelly. No one at my table seemed able to tell). The scrapple simply reminded me of a really moist baked kibbe—only fried. And the shredded beef heart was an interesting deep red color and velvety texture with an unexpectedly delicate flavor. So far, so good. Those who did try to shoot it failed miserably, however, as it was a bit too much volume and the shrimp was really too large to allow much success. So, effectively, this was soup was served sans spoon. Alright then. Along with the soup was a trout “rillette” spread upon on a whole wheat crostini. The rillette reminded me of a really awesome fish mousse—and that is good—because apparently it is prepared something like a pate. For those of you keeping score at home, that’s 3 for the chefs to 1 for the foodie. But, hey, I’m on the board. Next up was a quartered and cherry heirloom tomato salad with slivered and fried pigs ears, basil, and goat cheese in a lovely vinaigrette. Yum. As in each course so far, there was a hint of sweetness about this dish, but as in each prior course, only as a delicate note far in the background. In this case, that note was provided by the perfectly garden-ripe tomatoes and the vinegar. Course three was thinly-sliced pickled beef tongue, shaved fennel, summer veggies (in this case diced tomatoes, thin slices of raw okra cut on the diagonal, red and yellow bell peppers, and slivered sweet onions), and chili vinegar served family-style on a wooden plank. Once again, the chefs transmuted random organ meat into an unexpected delight. Only a few of my fellow diners had ever eaten tongue, but we all agreed this must be a great example of it. The tongue had been sliced across the grain and was so thin as to eradicate any hint of toughness and leave only clean meat with a texture that nearly melted in your mouth. Even more surprising to everyone than how much we all enjoyed tongue, however, was how much we enjoyed raw okra. The diagonal slicing and other mystery preparation resulted in a crispy and totally un-gooey freshness none of us okra-eaters expected. And then suddenly, it was time for course four. The craziest part of this, the final savory course, was its incredibly underwhelming description and family-style iron skillet presentation. I mean what was so hot about sausage, ribs, and warm barley salad? Well, as it turns out: a lot. Like the huge burst of incredible fireworks that immediately precede the end of a Fourth of July display, course number four simply blew me away. Without hesitation and unblushingly, notwithstanding all prior praise for pork and pork products previously reviewed in this blog, I can truly say these were the best, ever, to-end-all, to-die-for ribs and kielbasa that shall forever haunt my dreams. And the barley salad was pretty good too. In fact, in the presence of any other meat, the salad likely would have been star of this particular show. Here, however, it was merely something to pass the time between brief sojourns through the outskirts of pork heaven. “What was so awesome, then?” you may ask. Well, for starters, the fat of the sausage was practically drinkable. And the meat was sensuously textured, amazingly well-seasoned, and absolutely perfectly prepared. So perfectly, I wondered whether one nanosecond of cooking time in either direction would have ruined its delicately balanced flawlessness. My God! I can hardly believe I’m talking about sausage here. Strangely, the rib came in second to the sausage in a photo finish. That’s weird to me because I have never before in my life preferred anything to a spare rib. Not that there was anything wrong with this one. The Chefs bask in the afterglow of their triumph in Decatur. In fact, there was everything right about it. The exterior was almost imperceptibly crispy with a delicate crust of lightly distributed and (once again) subtly sweet sauce. Until now, it had been my experience that most ribs are defined by the sauce and the meat is either good or not good. In this instance, however, Chef Terry’s restraint allowed the magnificence of the pork to shine through. His delicate application of the condiment enabled this rib to achieve a perfect balance of flavors that elevated both the sauce and the meat to a level I have never known. Truly divine! After this incredible burst of light and sound, we metaphorically sat around playing with sparklers in the form of the “Goodbye Course” of fried blueberry pies dusted with lime sugar and served with a side of savory whipped yogurt. Again, it was a triumph in any other context. How HUGE are those blueberries? Following as it did the almost religious experience of course four, however, I couldn’t help thinking of it more as a palate cleanser. Something akin to a nightcap before I hit the road home to mull over all that I had learned at this meal and to swear silently that I will never miss attending another Farm Burger Supper ever again. Format GalleryPosted on August 16, 2011 Categories Blog, Decatur, Farms and Farming, Food Events, Food, Wine & Spirits, Foodtainment, Georgia, North American Food, Organic Farming, Home & Garden, Organic, Locally-Grown, or Locally-Sourced, Restaurant, Reviews & Ratings, United StatesTags Blog, Decatur, Events, Farms and Farming, Food Entertainment, Georgia, Locally-Grown or Locally-Sourced, North American Food, Restaurant, Reviews & Ratings, United StatesLeave a comment on Farm Burger Supper Series–I’ll be back (if I can get to the phone fast enough)! Best Cold Remedy Soup, Yet…. Like many of you this time of year (and hereafter), I was feeling really run down with a sore throat and general yuck. Knowing I would have to see this cold through on my own, I instantly searched the Internet for a soup recipe that could pull me through the next few days while laid up with what seemed like impending doom. I found this: “Mom’s Cold-Season Chicken Soup” at SimplyRecipes.com. It looked like a recipe I could handle, even at half-power, so, now, it was just a race against time. And, of course, there would have to be a few modifications…. I drove to my local Whole Foods as fast as my feverish brain could manage to hunt down the ingredients for the soup recipe but not for the recommended homemade chicken stock. (I did NOT have that kind of time!) Instead, I substituted Kitchen Basics (Unsalted) Chicken Stock in a Tetrapak. For the fat, I would dip into the lard I rendered about a week earlier. Organic vegetables were my call both for flavor and potency, and an organic French bread baguette, as well. Then I made a few changes—Cajun seasoning instead of “poultry seasoning” (whatever that is), and for the bread, a very strong garlic butter using, in my case, pastured butter and organic garlic. I started chopping as soon as my feet hit the kitchen tile. Luckily, for Sicko over here, there was no mincing called for—just a rough dice—so the veggie prep was quick, and there was still time to pull my garlic butter and bread together. To make the garlic bread, you just cut a baguette into quarters and for each quarter prepare the following: in a chopper or small food processor, grind two cloves (or one big one) of garlic; when minced, add two tablespoons of cold butter cut into eight bits then pulse the butter and garlic until the mixture sticks to the side of the bowl. Split your baguette lengthwise along the side, spread the garlic butter on each half of the bread. Preheat the oven to 350°. Now that I was through with prep, it was time to start the sauté. At the point I added the stock to the veggies, I also popped my quarter baguette into the oven for about 10 minutes or so until it was hot but not brown. You can toast either closed or open-faced. Mercifully, once the bread was done it was time to serve the soup, as well. Now this recipe makes about three quarts of soup, and I recommend eating about 1 quart and one quarter loaf at a sitting. Afterward, you will reek of garlic, and you may experience a slight tingling of the mucosal membranes—but hey, that just means it’s working. So if you are the only one who is sick or the soup works immediately, why not freeze the rest of the French bread and pour the soup into quart-sized containers and freeze it too? Then you can heat and eat the soup and all you have to do is make a new batch of garlic butter for the bread. I did this and it’s just as effective as new! Feel better the delicious way, while keeping vampires at bay, with this souped-up Mom’s Cold-Season Chicken Soup. Format GalleryPosted on August 13, 2011 Categories Blog, Food & Health, Food, Wine & Spirits, Organic, Locally-Grown, or Locally-Sourced, Recipes, Recipes, Reviews & RatingsTags Blog, Food & Health, Organic Locally-Grown or Locally-Sourced, Recipes, Reviews & RatingsLeave a comment on Best Cold Remedy Soup, Yet…. 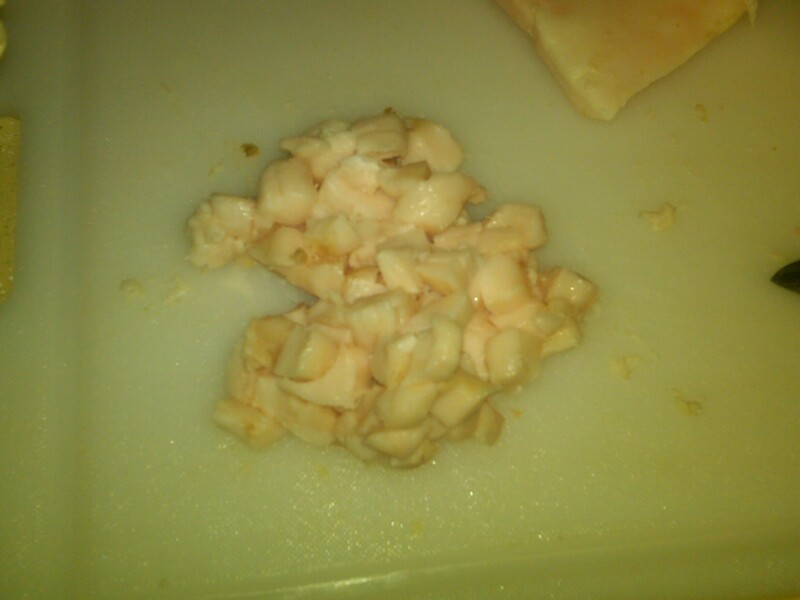 As previously announced on Facebook and Twitter, I recently rendered lard for the first time. Here’s an inside look at how that whole thing went down. It all started on recent a Wednesday afternoon when I visited the Decatur Farmers’ Market in Decatur, Georgia. Among other things, I was looking for a replacement for the lard supplier I had found in Birmingham but lost when I moved away. I had been told Tink’s Grass Fed Beef would be there, but as it turns out, Tink raises pastured pork as well. So naturally, I asked about lard. “No, Tink’s doesn’t render lard,” I was told, but for $5 they could provide me the fat needed to do it myself if I would come to the Saturday market. I readily agreed and showed up on Saturday hoping to score the goods. Sure enough, the fat had been put on the truck and off my contact went to retrieve it for me. When she returned, I was presented with a large plastic bag of frozen fat weighing at least 10 pounds. I was simultaneously thrilled and intimidated. But for $5, I could afford to screw this up so I soldiered on—with a 10-pound lump of frozen pork fat in my trunk. When I got home, I placed the lump in my refrigerator and set to work trying to figure out how this mass was to be turned into the white, soft, odorless fabulousness so often imitated by vegetable shortenings but never quite matched and certainly not replaced. 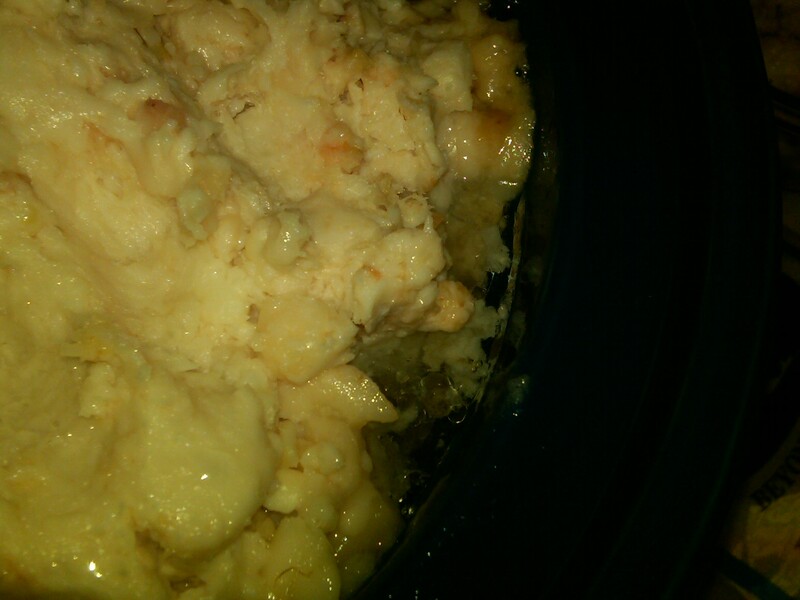 In my search, I found this link to a site called, “A Little Bit of Spain in Iowa,” which provided tantalizingly simple instructions for lard-making using a Crockpot, of all things. Included were beautiful pictures showing exactly what I was to do. The lard pictured looked like what I wanted in an end result, so I figured I’d try it for myself, after buying just a few supplies. 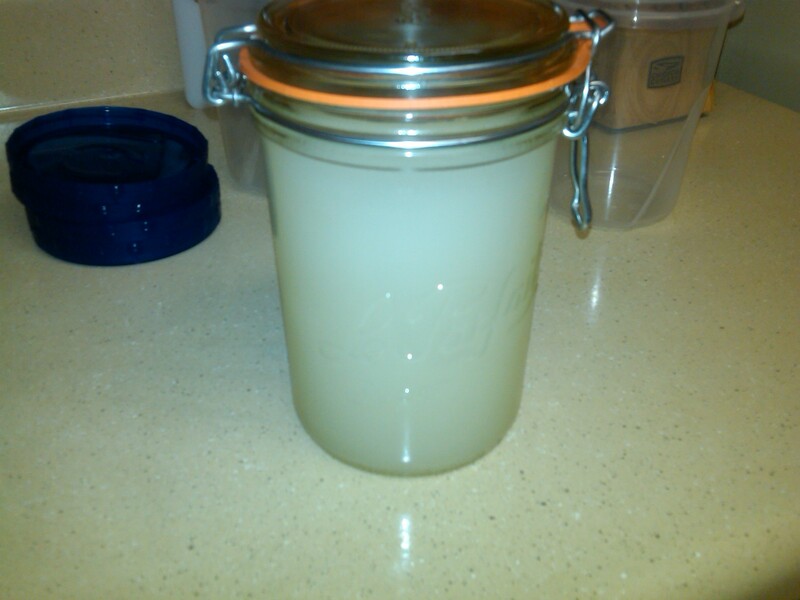 The goal: finished lard in a lovely glass jar. First, as to the choice of equipment, I was working with a regular, old, Rival Crockpot that was one of the first models to feature a removable crock (circa 1999). Nothing fancy; just low and high. In fact, I used both the low setting on the Crockpot and the lowest burner on my late ’80s gas stove, and the gas stove was definitely hotter and harder to control. This was the lowest I was able to get the flame on the gas stove. Still far hotter than the low setting on the Crockpot. 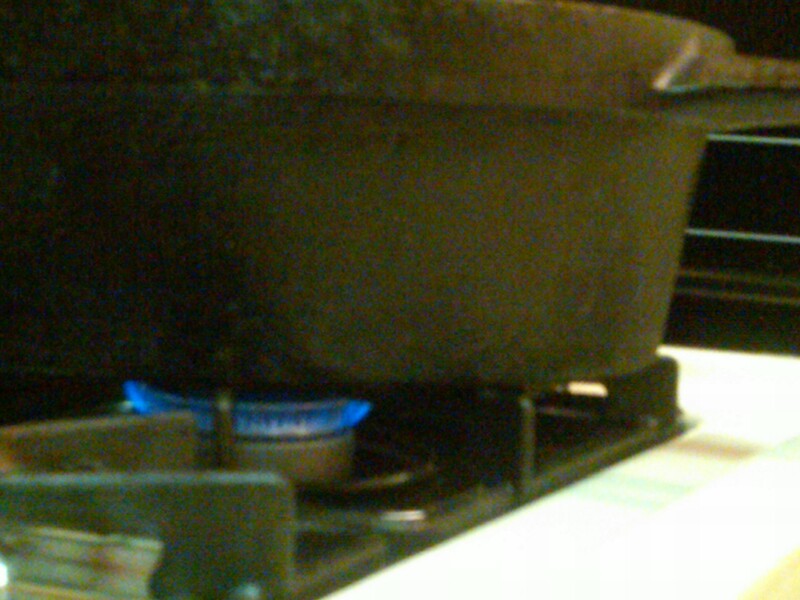 Pictured here, is the lowest I was able to get the flame on the gas stove. It was still far hotter than the low setting on the Crockpot. The fat in the Crockpot was on for 16-hours, by contrast, and still wouldn’t burn—no matter how hard I tried—which brings me to my next few points. Nowhere in the instructions does the author address how much fat she is rendering, but still confidently assures us of process completion in (it appears) just a few hours. This is totally misleading! It seemed to go faster once the volume was reduced (but that is by no means a scientific observation). At no point did the “cracklings” get crispy as described, however, which brings me to my next observation. The closest to crispy (not very) I was able to attain in 16 hours. The author discusses the possibility of a “piggie” odor in the finished lard but attributes the off-flavor to “burning” the cracklings. I believe that attribution is only partly true. In other words, the reason I believe my fat never crisped into cracklings (and therefore did not burn) and the reason I didn’t have any piggie odor to my lard is the same—Tink’s did a great job in giving me very little meat and skin with the fat. What little protein there was, I trimmed away and rendered separately as an experiment. 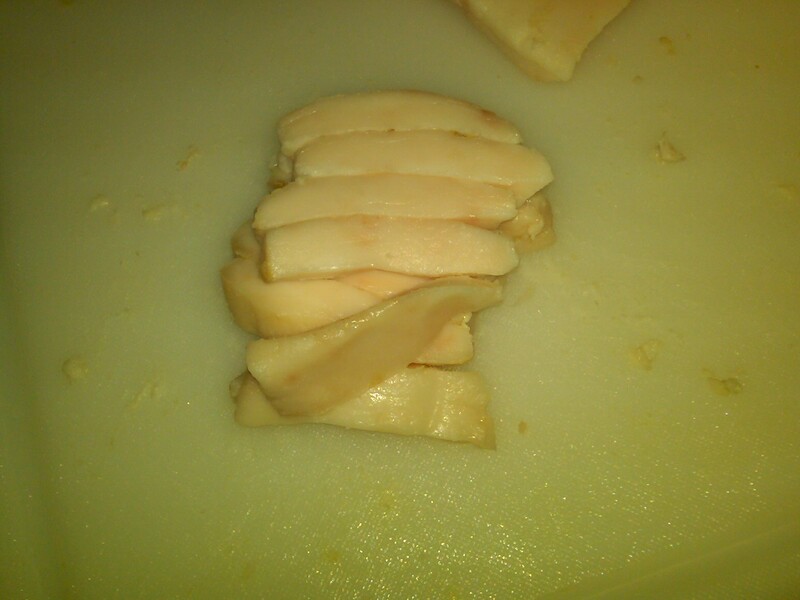 All that remained after removing the pure fat. Sure enough, the lard separately rendered from fat and protein did have a strong piggie scent. Browned protein and fat cracklings. The purer fat did not. The purer fat also did not produce cracklings, which I now believe must contain a good percentage of protein to crisp and brown or to “burn” if allowed to cook further. 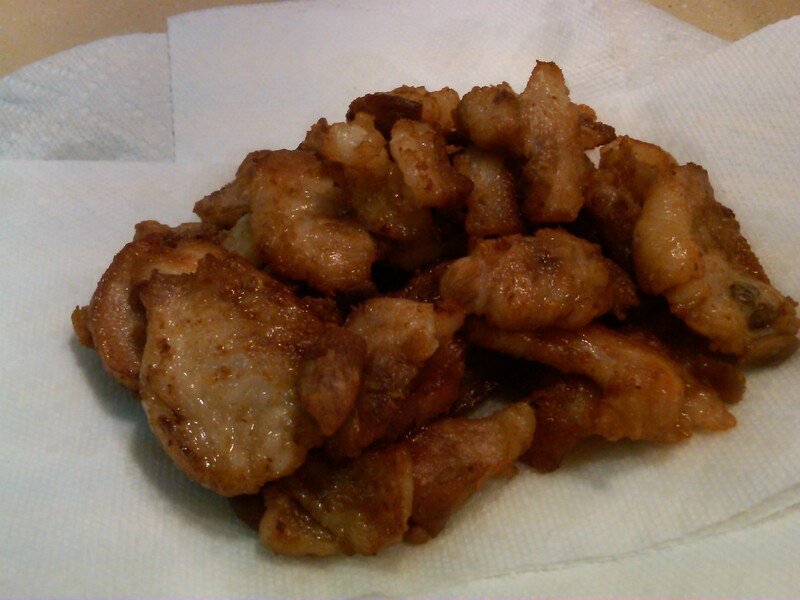 Or maybe my cracklings sans protein did not burn because of my next observation. At no point are we instructed to stir, fold, or otherwise turn the contents of the crock. I did it anyway, for better or worse, because it seemed the fat along edges and bottom was definitely turning brown while the fat in the center remained raw and unchanged. Maybe this is why I didn’t get the “separation” of fat from cracklings or the crisping she described, but after a few hours, I wasn’t seeing that happen anyway so I erred on the side of not causing a fire (I guess). Now, for what went right. As an initial matter, using the Crockpot is a stroke of genius. A virtually odorless process that was totally controllable, the end result of rendering in the Crockpot was just was as article described. The crock also seemed to make it easier to manipulate the fat than any oven-based method I’d read about, as it sat open and reachable right on the countertop, and yet was still gentler-heating than my stove-top experiment. In fact, it was a happy compromise of the benefits of both traditional methods. And when I got tired of rendering, I put on the glass lid and stuck the crock in the refrigerator so I could restart it the next day. Also, grinding the fat as the author suggests seems to have facilitated a more even release of oil. Because I found the instructions online (including the suggestion to ask the farmer to grind the fat for better results) only after I’d already received the fat, I hadn’t asked Tink’s for pre-ground fatback. But perhaps that was better anyway. 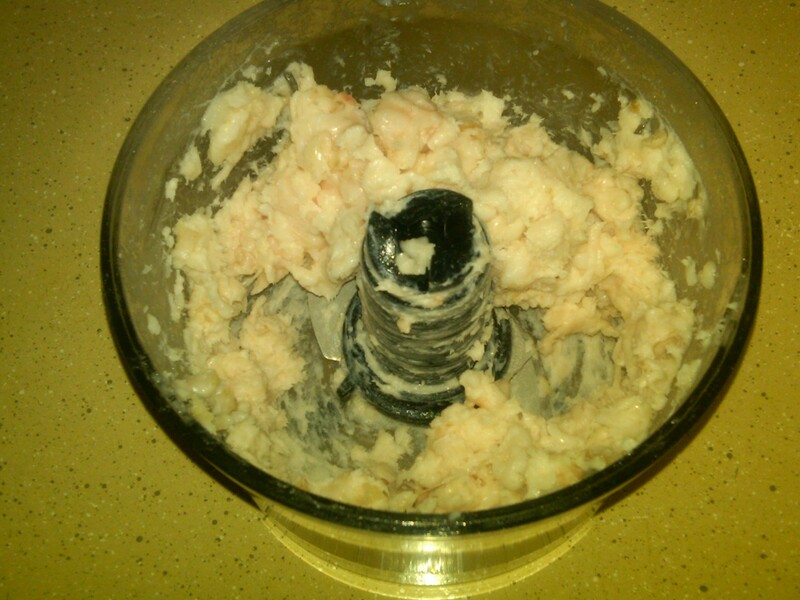 Grinding it myself gave me a chance to trim off the protein beforehand, and grinding wasn’t such a big deal using the little chopping attachment to my Cuisinart stick blender and would have been even less of a big deal in a real food processor. 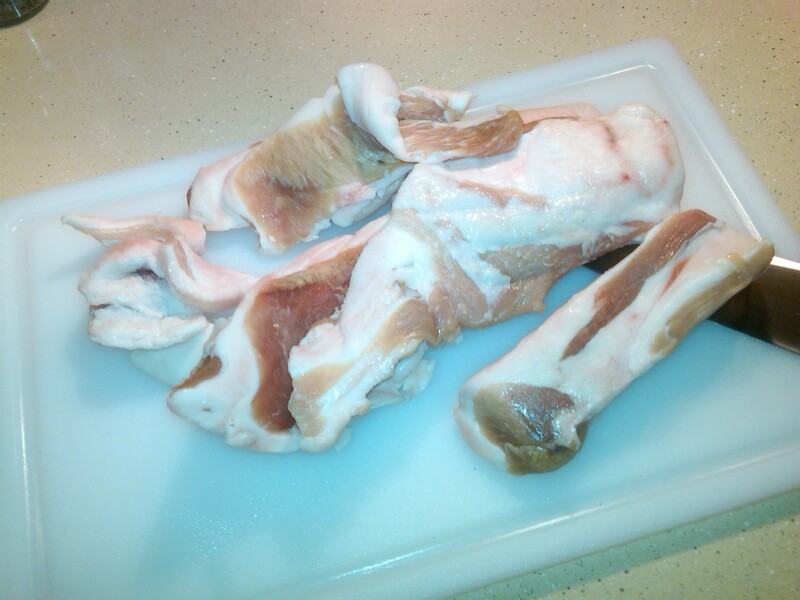 Step 1: Fat strips ready to be diced. Step 2: Diced fat ready to be ground. Step 3: Ground fat. NOTE: I only filled the bowl about half full. Any more prevented an even grind and actually took longer. After reading the instructions, I naively assumed lard making was simply a matter of heat-for-a-few-hours-strain-pour-chill. Not so! I was totally unprepared for the huge chunk of time rendering this amount was going to take out of two days. 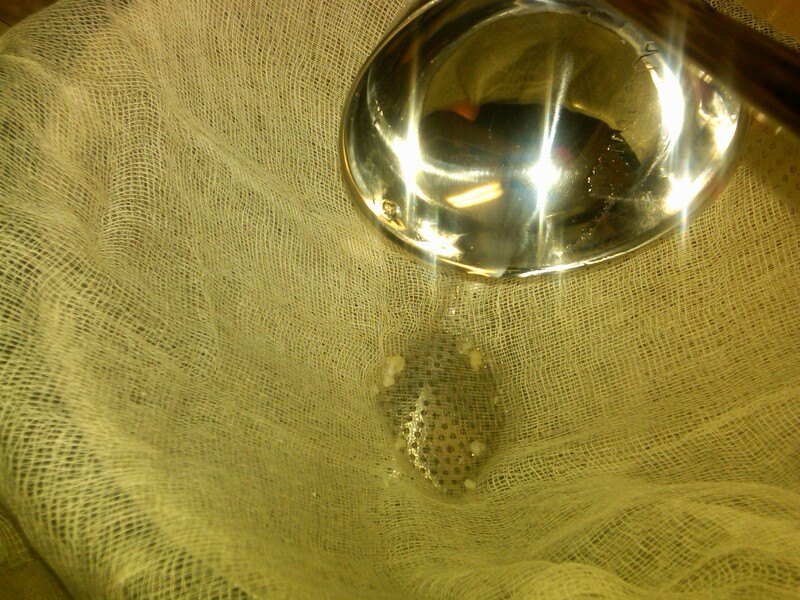 Oil being strained through double layered cheese cloth over the colander. But, at the end of the (second) day, I got a gallon of really high quality lard for my $5 and am happy to have one half gallon of lard in the fridge and another in the freezer. In the final analysis, I will definitely render my own lard again—but hopefully not for another year or so. 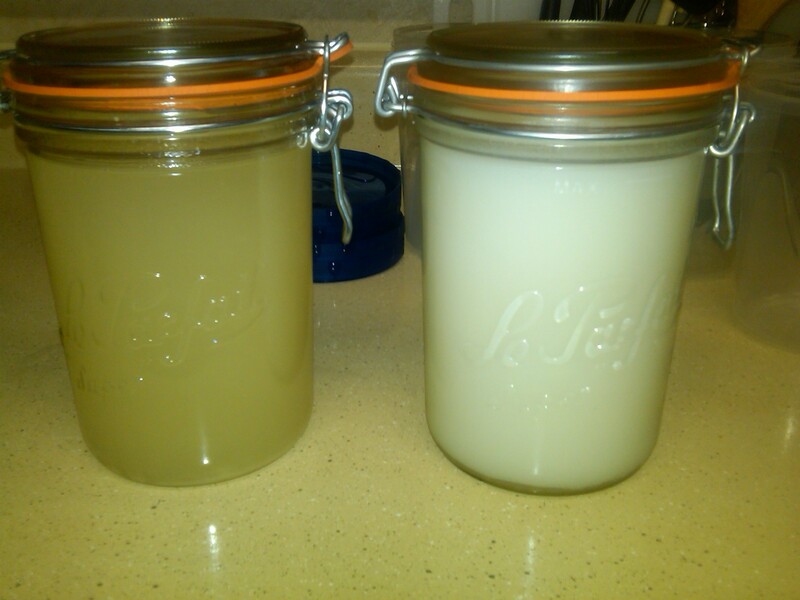 "Hot" lard oil on the left; solid, cooled lard on the right.